This Certified Pre-Owned 2018 #Toyota #Tacoma TRD Pro 4WD 6-Speed Manual Truck is ready for its next adventure! Loaded with TRD Pro Package, Off-Road Tires, Navigation, Tinted Windows, and more! Check out all details here: https://bit.ly/2V5B3Yx VIN #: 5TFCZ5ANXJX131584 | STOCK #: 822019-1 Internet Price $41,995 *Plus tax, title, and $250 dealer doc fee. WE WILL BUY YOUR USED TOYOTA! Need easy, reliable, affordable service for your Toyota? Come to Cain Toyota and schedule a service appointment. We pride ourselves on certified technicians and genuine Toyota parts that provide quality Toyota service. Toyota scheduled maintenance is the foundation of your car’s use and value, and our qualified Toyota technicians will make sure it stays in prime shape, with genuine, quality Toyota parts and years of expertise. Cain Toyota schedule a service appointment makes it simple to keep your car running at its top performance. Toyota scheduled maintenance at all levels of mileage, even on pre-owned Toyota and late model vehicles, is available – under warranty or not. And Cain Toyota will handle any repairs you need. I wish there was an option to give more than a 5 star rating! I absolutely love and appreciate Cain Toyota. My wife and I have bought our mini van there a couple years ago. The way that their staff treats us like family whenever we are on their lot makes all the difference. We purchased our van there a couple years ago from their awesome salesman Mike Bann and knew I would return if ever my vehicle needed replaced. When I realized my suv was on the fritz ... I knew who I was going to turn to. Mike Bann once again helped me find an incredible vehicle that met my needs and a great replacement. Thanks Mike Bann and Ben Barbato (Finance Office) for your awesome service this past week! My wife and I walked into Cain Toyota today, affixed on a RAV4 deal we saw on the internet. Sam met us and not only got us the best deal on an SUV, but one that we weren’t sure that we could even get in the first place. Sam and the dealership worked really hard for us on the financing and made us a deal on a Toyota Highlander that we absolutely could not refuse! With the amazing work that Sam put in as a salesman and how Cain Toyota assisted in the deal, we can’t imagine going anywhere else for our car needs, whether it be buying, leasing, or servicing a vehicle! I love that we found this dealership and we’re ever-so thankful for Sam’s help in finding us a perfect vehicle for our future! Welcome to Cain Toyota, your local dealership serving drivers in and around Massillon, Akron, Green, Hartville, New Philadelphia, and Canton. We pride ourselves not only in our vast vehicle selection and professional, efficient automotive service, but also our commitment to our customers. We always put your needs and desires first, which makes a huge difference in the dealership experience overall. Putting you first starts with the car buying process, as our staff will work diligently to get you behind the wheel of exactly the right vehicle for you. That might mean showcasing our brand-new Toyota models, or walking you through our used car lot. In any case, we pay close attention to your vehicle checklist to ensure we hit all of your priorities with the one you choose. And sending you off in just that vehicle is made all the more possible because of the members of our finance department, who can arrange financing or lease terms that make sense for you and your budget. After you drive away with a new vehicle, the technicians at our service center are always at the ready to manage any and all maintenance and repair requests you bring our way. We even use authentic Toyota parts to ensure the quality and longevity for your vehicle. At Cain Toyota, our philosophy is simple. If we take excellent care of our customers, then they will send their families and friends to see us for their automotive needs, therefore growing our family and connection to the community. 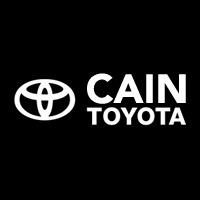 The entire Cain Toyota staff is committed to “Driving Beyond Your Expectations.” See how by visiting the dealership at 6527 Whipple Ave NW in North Canton, OH. Don’t hesitate to reach out, either, if you have any questions about our services!